What’s your love language? Mine is cooking food for others. I relish any opportunity to share a batch of roasted sweet potato rounds, lemon olive oil cupcakes, or baked buttermilk donuts with my family. 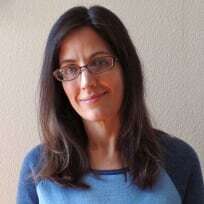 Recently, some of my family members have gone the low carb route and it’s been a struggle to find recipes we can all enjoy. 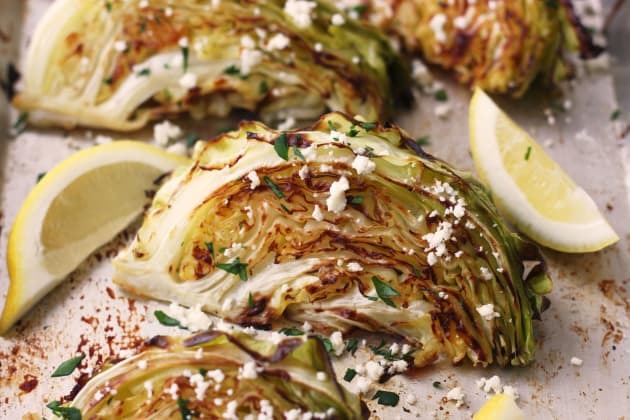 These roasted cabbage wedges are the perfect tasty middle ground between my high carb-lovin’ taste buds and their health goals. That’s because cabbage is naturally low in carbohydrates and develops the most delicious golden caramelized edges when roasted. 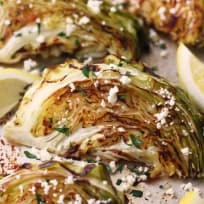 A squeeze of zesty lemon juice and a sprinkle of salty feta cheese highlights the cabbage’s savory-sweet flavor. Trust me, it tastes so good you won’t miss the carbs. 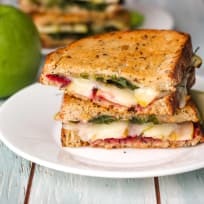 While this toaster oven recipe is simple to throw together there is one thing you must do when slicing the wedges: RESIST THE URGE to remove the core. In fact, try and get as much of the core as you can on each wedge. 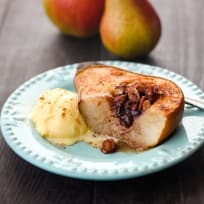 The core will help keep your wedges from falling apart during roasting and I actually think it tastes pretty good too. 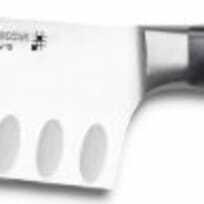 If it’s going to bug you, just use a paring knife to remove the core before serving. My husband calls this dish “Condiment Cabbage” because it tastes great drizzled or brushed with ANY kind of sauce. 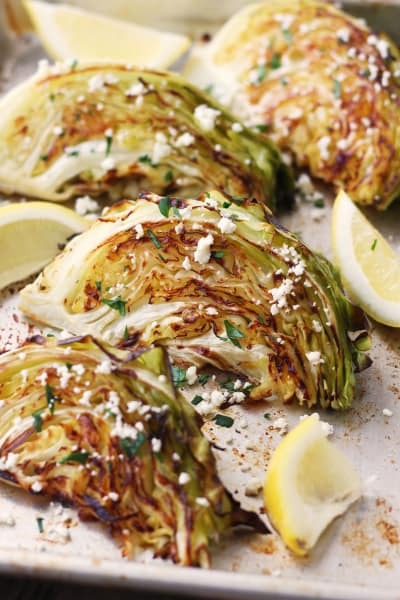 Give it a try and drizzle the cabbage with balsamic vinegar or soy sauce instead of the lemon juice. For thicker sauces, like BBQ and Sriracha sauce, I like to take the cabbage out a little early, brush it with the sauce and put it back in the toaster oven for a few minutes to really bake-in the flavor. 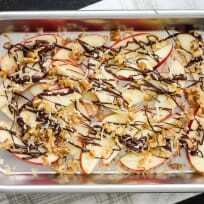 To make this recipe in our larger toaster oven I use a quarter sheet pan. It gives the wedges enough space so they aren’t piled on top of each other steaming instead of roasting. If your toaster oven is smaller, divide the recipe in half or roast the cabbage in two batches. 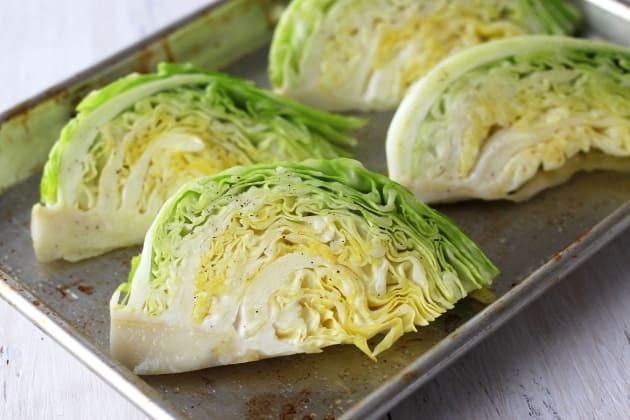 The cabbage wedges cook best in a super-hot 450°F toaster oven or countertop oven. If your toaster oven doesn’t go that high just use the highest temperature setting you can and add a few minutes to the cook time. 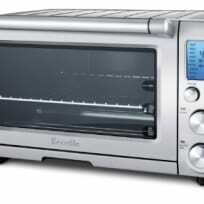 Does your toaster oven have a “Roast” feature? Give it a try but check the first side for browning after 8 to 10 minutes. If you’re cooking with a convection toaster oven, keep the temperature at 450°F and begin checking for doneness early. Our cabbage was perfectly cooked after just 18 minutes! Adjust the cooking rack in your toaster oven to the lowest position and preheat to 450°F on the “Bake” setting. Lightly oil your roasting pan or a quarter sheet pan. 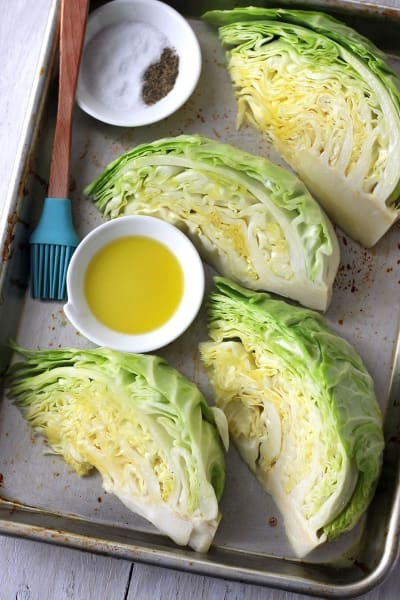 Cut the cabbage into 4 wedges and add them in a single layer to your prepared pan. Brush each side with oil and season well with salt and pepper. 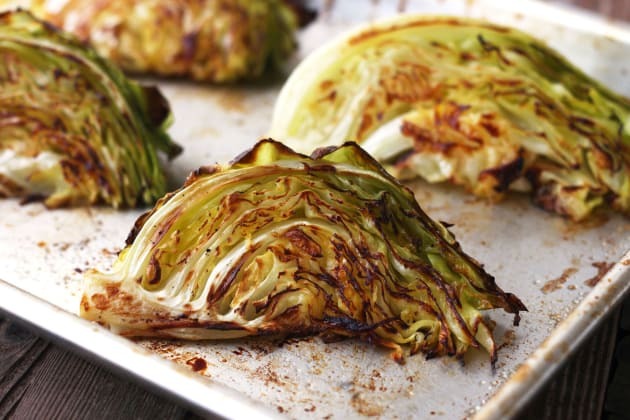 Roast cabbage for 10 to 15 minutes, then use a spatula to carefully flip each wedge. Continue cooking until the cabbage is browned on the edges and fork tender, about 10 to 15 minutes, depending on the size of your wedges. 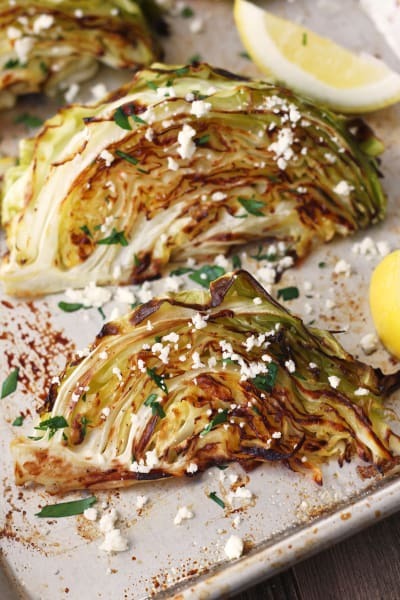 Squeeze half of the lemon over the cabbage, sprinkle with feta and parsley. 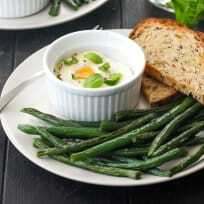 Serve with remaining wedges and enjoy! 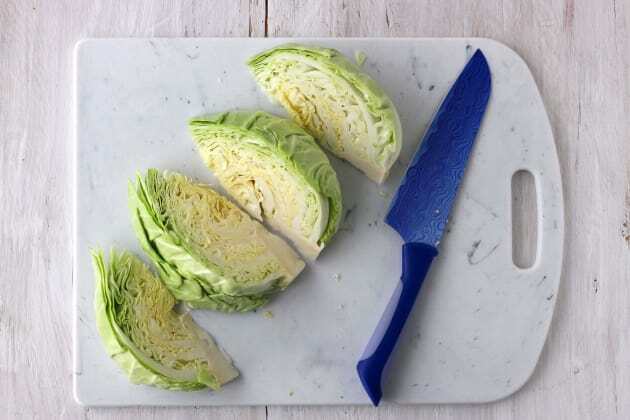 Keep the core on your cabbage wedges, it will help the wedges stay intact while roasting. Convection Toaster Oven Directions: Cook cabbage at 450°F, flip wedges after 10 minutes and continue cooking until golden and tender, about 7 to 12 minutes more. For smaller toaster ovens divide the recipe in half or cook in two batches.